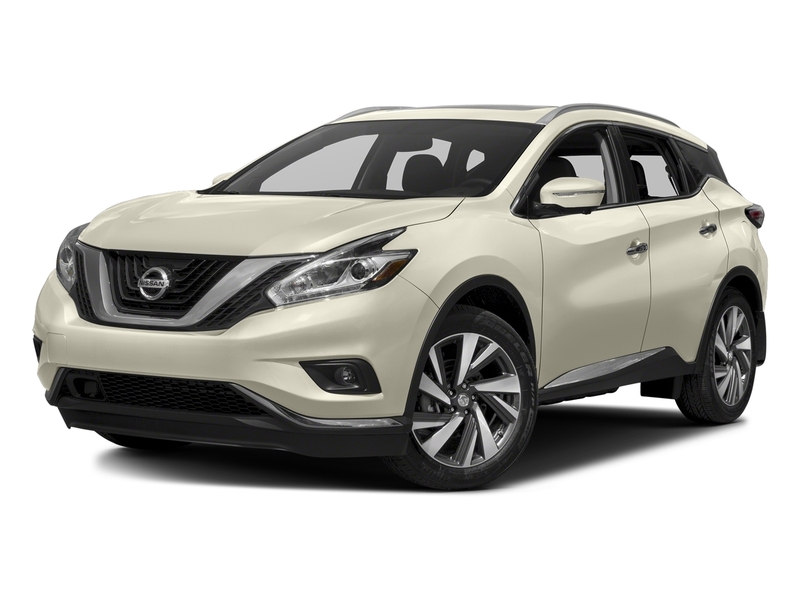 2018 Nissan Murano SL FWD 3.5L V6 DOHC 24V CARFAX One-Owner. 21/28 City/Highway MPG Leather Seats, Panoramic Sunroof/Moonroof, Rear Backup Camera, Navigation/Nav/GPS, Like New, Great Condition, One Owner, Clean Carfax, SMARTPHONE CONNECTIVITY - BLUE TOOTH, Mention this advertisement to the dealer to receive the advertised price., LIFETIME WARRANTY ON ENGINE AND TRANSMISSION, CERTIFIED PRE OWNED NISSAN, **MOONROOF PACKAGE**, **CARGO PACKAGE**, **SPLASH GUARDS**, **BOSE SOUND SYSTEM**, **AROUND VIEW CAMERA**, **APPLE CARPLAY**, **ANDROID AUTO**, Cargo Area Protector, Cargo Net, Cargo Package, First Aid Kit, Moonroof Package, Power Liftgate, Power Panoramic Moonroof, Rear Bumper Protector, Retractable Cargo Cover, Wheels: 18" Machined Aluminum-Alloy.<br><br>Congratulations on choosing an used vehicle from Hudson Nissan on Rivers Avenue. This vehicle has passed our 156 point inspection and comes with a free Carfax with Buyback protection. We also provide a no questions asked 5 day exchange policy on every used vehicle we sell. Also, every vehicle under 70K miles at time of delivery has a limited bumper to bumper 30 day warranty. Call one of our Certified Internet Consultants at 843-553-1000 to get more information about this used vehicle. Hudson Nissan is the number one volume Nissan store in the state of SC 8 years in a row. We accomplished this by making truly exceptional customer service our number one priority. Check us out online at www.myhudsonnissan.com to see our specials, or one of our 500+ vehicles we have in stock. We now offer free delivery within 300 miles, call for more details. Hudson Nissan is proud to serve Charleston, Mt. Pleasant, Summerville, Goose Creek, Columbia and surrounding cities in South Carolina. Online price includes $556.63 closing fee. Buyer is responsible for all state, county, and city taxes, tag, title, and registration fees in the state in which the vehicle will be registered. Offer good while supply lasts. 2006 Nissan Murano SL AWD 3.5L V6 DOHC 24V Odometer is 10442 miles below market average! Leather Seats, Sunroof/Moonroof, Rear Backup Camera, Great Condition, Local Trade, Clean Carfax, Mention this advertisement to the dealer to receive the advertised price., **ROOF RAIL CROSSBARS**, **SL TOURING PACKAGE**, **SL LEATHER PACKAGE**, **PREMIUM PACKAGE**, 18" x 7.5" 6-Spoke Aluminum Alloy Wheels, 4-Way Power Front Passenger's Seat, Black Roof Rail Crossbars, Black Roof Rails, Cargo Net, Dark Silver Colored Lower Bumper, Dual Heated Outside Mirrors, Heated Front Seats, High-Intenstity Discharge Headlamps w/Manual Levelizer, Intelligent Key Memory System, Leather-Appointed Seat Trim, Power Adjustable Pedals, Power Glass Sliding Sunroof w/Pre-Select Switch, Premium Package, Retractable Cargo Cover, SL Leather Package, SL Leather Package w/Sunroof, SL Touring Package, Sunroof Package, Sunroof Wind Deflector.<br><br>Hudson Nissan on Rivers Avenue is now offering Value Priced cars, trucks, and suv’s to our customers. We know that there is a high demand for quality, low-cost automobiles, especially in today's economy. This is a terrific opportunity for you to save big! Hudson Nissan Value Cars are pre-reconditioned and most have over 100,000 miles. Value Cars are offered and sold "As Is". Value Cars are priced below market for the public. Hudson Value Cars are backed by our Peace-of-Mind 5-day/300-mile exchange policy. All Value Cars have been inspected by a certified Technician making sure that all safety components are operational and functional. Value Cars are washed and vacuumed at the time of purchase. Hudson Nissan is proud to serve Charleston, Mt. Pleasant, Summerville, Goose Creek, Columbia and surrounding cities in South Carolina. Prices include $556.63 closing fee. Buyer is responsible for all state, county, and city taxes, tag, title, and registration fees in the state in which the vehicle will be registered. Offer good while supply lasts. 2015 Nissan Murano SL FWD 3.5L V6 DOHC CARFAX One-Owner. 21/28 City/Highway MPG Leather Seats, Panoramic Sunroof/Moonroof, Rear Backup Camera, Navigation/Nav/GPS, One Owner, Clean Carfax, SMARTPHONE CONNECTIVITY - BLUE TOOTH, Mention this advertisement to the dealer to receive the advertised price., LIFETIME WARRANTY ON ENGINE AND TRANSMISSION, CERTIFIED PRE OWNED NISSAN, **POWER LIFT GATE**, Intelligent Cruise Control, Navigation System, Power Liftgate, Power Panoramic Moonroof, Predictive Forward Collision Warning (PFCW), SL Technology Package, Wheels: 18" Machined Aluminum-Alloy.<br><br>Congratulations on choosing an used vehicle from Hudson Nissan on Rivers Avenue. This vehicle has passed our 156 point inspection and comes with a free Carfax with Buyback protection. We also provide a no questions asked 5 day exchange policy on every used vehicle we sell. Also, every vehicle under 70K miles at time of delivery has a limited bumper to bumper 30 day warranty. Call one of our Certified Internet Consultants at 843-553-1000 to get more information about this used vehicle. Hudson Nissan is the number one volume Nissan store in the state of SC 8 years in a row. We accomplished this by making truly exceptional customer service our number one priority. Check us out online at www.myhudsonnissan.com to see our specials, or one of our 500+ vehicles we have in stock. We now offer free delivery within 300 miles, call for more details. Hudson Nissan is proud to serve Charleston, Mt. Pleasant, Summerville, Goose Creek, Columbia and surrounding cities in South Carolina. Online price includes $556.63 closing fee. Buyer is responsible for all state, county, and city taxes, tag, title, and registration fees in the state in which the vehicle will be registered. Offer good while supply lasts. 2012 Nissan Murano LE FWD 3.5L V6 DOHC 24V Heated Leather Seats, Sunroof/Moonroof, Navigation/Nav/GPS, SMARTPHONE CONNECTIVITY - BLUE TOOTH, **20" WHEELS**, **HEATED REAR SEATS**, **PLATINUM EDITION**, **POWER FRONT SEATS**, 20" Aluminum Alloy Wheels, HDD Navigation System, Platinum Edition, Platinum Edition Badge, Platinum Package Rear Bumper Protector, Power moonroof.<br><br>Congratulations on choosing an used vehicle from Hudson Nissan on Rivers Avenue. This vehicle has passed our 156 point inspection and comes with a free Carfax with Buyback protection. We also provide a no questions asked 5 day exchange policy on every used vehicle we sell. Also, every vehicle under 70K miles at time of delivery has a limited bumper to bumper 30 day warranty. Call one of our Certified Internet Consultants at 843-553-1000 to get more information about this used vehicle. Hudson Nissan is the number one volume Nissan store in the state of SC 8 years in a row. We accomplished this by making truly exceptional customer service our number one priority. Check us out online at www.myhudsonnissan.com to see our specials, or one of our 500+ vehicles we have in stock. We now offer free delivery within 300 miles, call for more details. Hudson Nissan is proud to serve Charleston, Mt. Pleasant, Summerville, Goose Creek, Columbia and surrounding cities in South Carolina. Online price includes $556.63 closing fee. Buyer is responsible for all state, county, and city taxes, tag, title, and registration fees in the state in which the vehicle will be registered. Offer good while supply lasts. 2016 Nissan Murano SL FWD 3.5L V6 DOHC CARFAX One-Owner. 21/28 City/Highway MPG Mention this advertisement to the dealer to receive the advertised price..<br><br>Congratulations on choosing an used vehicle from Hudson Nissan on Rivers Avenue. This vehicle has passed our 156 point inspection and comes with a free Carfax with Buyback protection. We also provide a no questions asked 5 day exchange policy on every used vehicle we sell. Also, every vehicle under 70K miles at time of delivery has a limited bumper to bumper 30 day warranty. Call one of our Certified Internet Consultants at 843-553-1000 to get more information about this used vehicle. Hudson Nissan is the number one volume Nissan store in the state of SC 8 years in a row. We accomplished this by making truly exceptional customer service our number one priority. Check us out online at www.myhudsonnissan.com to see our specials, or one of our 500+ vehicles we have in stock. We now offer free delivery within 300 miles, call for more details. Hudson Nissan is proud to serve Charleston, Mt. Pleasant, Summerville, Goose Creek, Columbia and surrounding cities in South Carolina. Online price includes $556.63 closing fee. Buyer is responsible for all state, county, and city taxes, tag, title, and registration fees in the state in which the vehicle will be registered. Offer good while supply lasts. 2009 Nissan Murano S FWD 3.5L V6 DOHC 24V CARFAX One-Owner. Great Condition, Local Trade, Hard to Find, One Owner, Mention this advertisement to the dealer to receive the advertised price..<br><br>Awards:<br> * 2009 KBB.com Brand Image Awards Hudson Nissan on Rivers Avenue is now offering Value Priced cars, trucks, and suv's to our customers. We know that there is a high demand for quality, low-cost automobiles, especially in today's economy. This is a terrific opportunity for you to save big! Hudson Nissan Value Cars are pre-reconditioned and most have over 100,000 miles. Value Cars are offered and sold "As Is". Value Cars are priced below market for the public. Hudson Value Cars are backed by our Peace-of-Mind 5-day/300-mile exchange policy. All Value Cars have been inspected by a certified Technician making sure that all safety components are operational and functional. Value Cars are washed and vacuumed at the time of purchase. Hudson Nissan is proud to serve Charleston, Mt. Pleasant, Summerville, Goose Creek, Columbia and surrounding cities in South Carolina. Prices include $556.63 closing fee. Buyer is responsible for all state, county, and city taxes, tag, title, and registration fees in the state in which the vehicle will be registered. Offer good while supply lasts. 2016 Nissan Murano SL AWD 3.5L V6 DOHC CARFAX One-Owner. 21/28 City/Highway MPG Heated Leather Seats, Panoramic Sunroof/Moonroof, Rear Backup Camera, Navigation/Nav/GPS, Like New, Great Condition, One Owner, SMARTPHONE CONNECTIVITY - BLUE TOOTH, Mention this advertisement to the dealer to receive the advertised price., LIFETIME WARRANTY ON ENGINE AND TRANSMISSION, CERTIFIED PRE OWNED NISSAN, **INTELLIGENT CRUISE CONTROL**, **SL TECHNOLOGY PACKAGE**, **PREDICTIVE FORWARD COLLISION WARNING**, **FORWARD EMERGENCY BRAKING**, **VOICE RECOGNITION FOR NAV**, **18" ALLOY WHEELS**, **POWER LIFTGATE**, **FRONT FOG LAMPS**, Illuminated Kick Plate, Intelligent Cruise Control, Navigation System, Power Liftgate, Power Panoramic Moonroof, Predictive Forward Collision Warning (PFCW), SL Technology Package, Wheels: 18" Machined Aluminum-Alloy.<br><br>Congratulations on choosing an used vehicle from Hudson Nissan on Rivers Avenue. This vehicle has passed our 156 point inspection and comes with a free Carfax with Buyback protection. We also provide a no questions asked 5 day exchange policy on every used vehicle we sell. Also, every vehicle under 70K miles at time of delivery has a limited bumper to bumper 30 day warranty. Call one of our Certified Internet Consultants at 843-553-1000 to get more information about this used vehicle. Hudson Nissan is the number one volume Nissan store in the state of SC 8 years in a row. We accomplished this by making truly exceptional customer service our number one priority. Check us out online at www.myhudsonnissan.com to see our specials, or one of our 500+ vehicles we have in stock. We now offer free delivery within 300 miles, call for more details. Hudson Nissan is proud to serve Charleston, Mt. Pleasant, Summerville, Goose Creek, Columbia and surrounding cities in South Carolina. Online price includes $556.63 closing fee. Buyer is responsible for all state, county, and city taxes, tag, title, and registration fees in the state in which the vehicle will be registered. Offer good while supply lasts. 2016 Nissan Murano SL FWD 3.5L V6 DOHC CARFAX One-Owner. 21/28 City/Highway MPG Leather Seats, Panoramic Sunroof/Moonroof, Rear Backup Camera, Navigation/Nav/GPS, Like New, Great Condition, One Owner, Clean Carfax, SMARTPHONE CONNECTIVITY - BLUE TOOTH, Mention this advertisement to the dealer to receive the advertised price., LIFETIME WARRANTY ON ENGINE AND TRANSMISSION, CERTIFIED PRE OWNED NISSAN, **SL TECHNOLOGY PACKAGE**, **INTELLIGENT CRUISE CONTROL**, **SPECIAL PAINT: PEARL WHITE**, **SPLASH GUARDS**, **FORWARD EMERGENCY BRAKING**, **PREDICTIVE FORWARD COLLISION WARNING**, **POWER LIFT GATE**, Illuminated Kick Plate, Intelligent Cruise Control, Navigation System, Power Liftgate, Power Panoramic Moonroof, Predictive Forward Collision Warning (PFCW), SL Technology Package, Special Paint - Pearl White, Wheels: 18" Machined Aluminum-Alloy.<br><br>Congratulations on choosing an used vehicle from Hudson Nissan on Rivers Avenue. This vehicle has passed our 156 point inspection and comes with a free Carfax with Buyback protection. We also provide a no questions asked 5 day exchange policy on every used vehicle we sell. Also, every vehicle under 70K miles at time of delivery has a limited bumper to bumper 30 day warranty. Call one of our Certified Internet Consultants at 843-553-1000 to get more information about this used vehicle. Hudson Nissan is the number one volume Nissan store in the state of SC 8 years in a row. We accomplished this by making truly exceptional customer service our number one priority. Check us out online at www.myhudsonnissan.com to see our specials, or one of our 500+ vehicles we have in stock. We now offer free delivery within 300 miles, call for more details. Hudson Nissan is proud to serve Charleston, Mt. Pleasant, Summerville, Goose Creek, Columbia and surrounding cities in South Carolina. Online price includes $556.63 closing fee. Buyer is responsible for all state, county, and city taxes, tag, title, and registration fees in the state in which the vehicle will be registered. Offer good while supply lasts. 2016 Nissan Murano SL FWD 3.5L V6 DOHC 21/28 City/Highway MPG Leather Seats, Panoramic Sunroof/Moonroof, Rear Backup Camera, Navigation/Nav/GPS, Like New, Great Condition, Clean Carfax, SMARTPHONE CONNECTIVITY - BLUE TOOTH, Mention this advertisement to the dealer to receive the advertised price., LIFETIME WARRANTY ON ENGINE AND TRANSMISSION, CERTIFIED PRE OWNED NISSAN, **SL TECHNOLOGY PACKAGE**, **SPECIAL PAINT: PEARL WHITE**, **ILLUMINATED KICK PLATES**, **SPLASH GUARDS**, **INTELLIGENT CRUISE CONTROL**, **PREDICTIVE FORWARD COLLISION WARNING**, **FORWARD EMERGENCY BRAKING**, **POWER LIFT GATE**, **18" ALLOY WHEELS**, **AROUNDVIEW CAM**, Illuminated Kick Plate, Intelligent Cruise Control, Power Liftgate, Power Panoramic Moonroof, Predictive Forward Collision Warning (PFCW), SL Technology Package, Special Paint - Pearl White, Splash Guards, Wheels: 18" Machined Aluminum-Alloy.<br><br>Congratulations on choosing an used vehicle from Hudson Nissan on Rivers Avenue. This vehicle has passed our 156 point inspection and comes with a free Carfax with Buyback protection. We also provide a no questions asked 5 day exchange policy on every used vehicle we sell. Also, every vehicle under 70K miles at time of delivery has a limited bumper to bumper 30 day warranty. Call one of our Certified Internet Consultants at 843-553-1000 to get more information about this used vehicle. Hudson Nissan is the number one volume Nissan store in the state of SC 8 years in a row. We accomplished this by making truly exceptional customer service our number one priority. Check us out online at www.myhudsonnissan.com to see our specials, or one of our 500+ vehicles we have in stock. We now offer free delivery within 300 miles, call for more details. Hudson Nissan is proud to serve Charleston, Mt. Pleasant, Summerville, Goose Creek, Columbia and surrounding cities in South Carolina. Online price includes $556.63 closing fee. Buyer is responsible for all state, county, and city taxes, tag, title, and registration fees in the state in which the vehicle will be registered. Offer good while supply lasts. 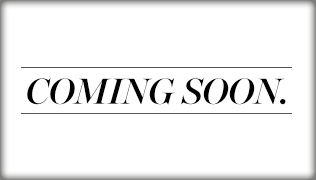 CALL TODAY 843-571-2810 TO CONFIRM AVAILABILITY. OR VISIT US IN WEST ASHLEY AT 1714 SAVANNAH HWY CHARLESTON, SC.<br><br>** EXCLUSIVE NATIONWIDE LIFETIME POWERTRAIN WARRANTY. UNLIMITED TIME AND MILES **, ** NISSAN CERTIFIED PRE-OWNED **, ** HEATED LEATHER SEATS **, ** REAR BACKUP CAMERA **, ** GPS/NAVIGATION **, **BLUETOOTH**.<br>2018 Certified. Nissan Murano 4D Sport Utility Cayenne Red Metallic SL Nissan Certified Pre-Owned Details:<br><br> * Roadside Assistance<br> * Vehicle History<br> * Warranty Deductible: $50<br> * Limited Warranty: 84 Month/100,000 Mile (whichever comes first) from original in-service date<br> * Includes Car Rental and Trip Interruption Reimbursement<br> * Transferable Warranty (between private parties)<br> * 167 Point Inspection<br><br>Clean CARFAX. CARFAX One-Owner. Priced below KBB Fair Purchase Price! FWD CVT with Xtronic 3.5L V6 DOHC 24V 21/28 City/Highway MPG Odometer is 5140 miles below market average!<br><br><br>Price includes motor vehicle closing fee. Buyer is responsible for state, county and city taxes, tag, title and registration fees in the state where the vehicle will be registered. Prep and Reconditioning fees may apply. Offer good while supplies last. Mention this advertisement to the dealer to receive the advertised price. CALL TODAY 843-571-2810 TO CONFIRM AVAILABILITY. OR VISIT US IN WEST ASHLEY AT 1714 SAVANNAH HWY CHARLESTON, SC.<br><br>** EXCLUSIVE NATIONWIDE LIFETIME POWERTRAIN WARRANTY. UNLIMITED TIME AND MILES **, ** NISSAN CERTIFIED PRE-OWNED **, ** HEATED LEATHER SEATS **, ** REAR BACKUP CAMERA **, ** GPS/NAVIGATION **, **BLUETOOTH**.<br>2017 Certified. Nissan Murano 4D Sport Utility Pearl White SL Nissan Certified Pre-Owned Details:<br><br> * Roadside Assistance<br> * Includes Car Rental and Trip Interruption Reimbursement<br> * Warranty Deductible: $50<br> * Vehicle History<br> * 167 Point Inspection<br> * Limited Warranty: 84 Month/100,000 Mile (whichever comes first) from original in-service date<br> * Transferable Warranty (between private parties)<br><br>Clean CARFAX. CARFAX One-Owner. FWD CVT with Xtronic 3.5L V6 21/28 City/Highway MPG<br><br><br>Price includes motor vehicle closing fee. Buyer is responsible for state, county and city taxes, tag, title and registration fees in the state where the vehicle will be registered. Prep and Reconditioning fees may apply. Offer good while supplies last. Mention this advertisement to the dealer to receive the advertised price. CALL TODAY 843-571-2810 TO CONFIRM AVAILABILITY. OR VISIT US IN WEST ASHLEY AT 1714 SAVANNAH HWY CHARLESTON, SC.<br><br>** EXCLUSIVE NATIONWIDE LIFETIME POWERTRAIN WARRANTY. UNLIMITED TIME AND MILES **, ** NISSAN CERTIFIED PRE-OWNED **, ** HEATED LEATHER SEATS **, ** REAR BACKUP CAMERA **, ** GPS/NAVIGATION **.<br>2018 Certified. Nissan Murano 4D Sport Utility Pearl White SL Nissan Certified Pre-Owned Details:<br><br> * Vehicle History<br> * Limited Warranty: 84 Month/100,000 Mile (whichever comes first) from original in-service date<br> * Transferable Warranty (between private parties)<br> * 167 Point Inspection<br> * Includes Car Rental and Trip Interruption Reimbursement<br> * Roadside Assistance<br> * Warranty Deductible: $50<br><br>Clean CARFAX. CARFAX One-Owner. FWD CVT with Xtronic 3.5L V6 DOHC 24V 21/28 City/Highway MPG<br><br><br>Price includes motor vehicle closing fee. Buyer is responsible for state, county and city taxes, tag, title and registration fees in the state where the vehicle will be registered. Prep and Reconditioning fees may apply. Offer good while supplies last. Mention this advertisement to the dealer to receive the advertised price.